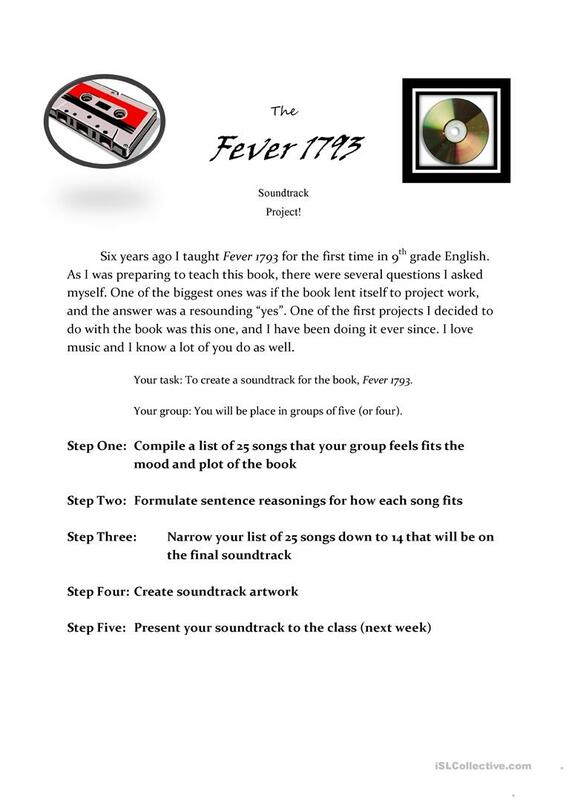 This is a soundtrack project for grades 7-10, focusing on the novel Fever 1793 by Laurie Halse Anderson. 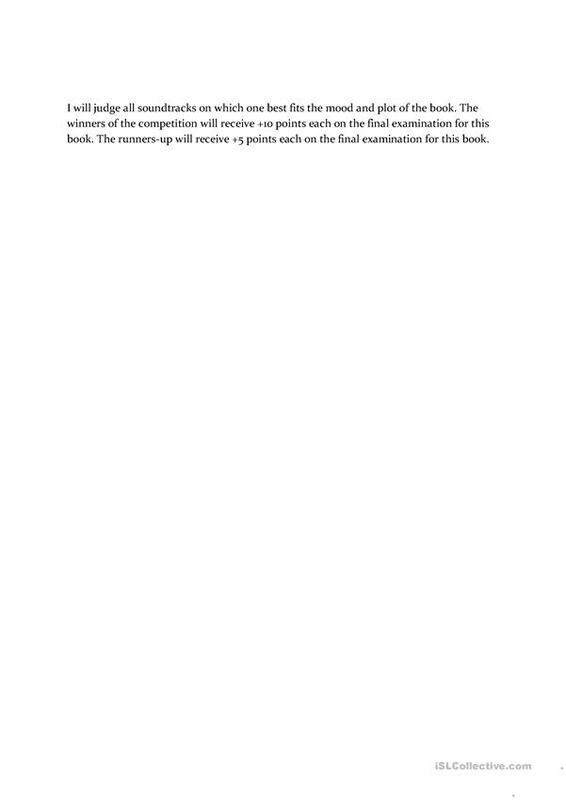 This downloadable worksheet is recommended for high school students and elementary school students at Intermediate (B1) level. It was designed for enhancing your pupils' Reading and Writing skills. jmcmanus27 is from/lives in United States and has been a member of iSLCollective since 2012-07-22 19:16:59. jmcmanus27 last logged in on 2012-07-29 21:41:35, and has shared 1 resources on iSLCollective so far.